We're all getuping for comfort when it comes to dressing up, and this combination of a grey knit open cardigan and grey ripped skinny jeans is a wonderful example of that. 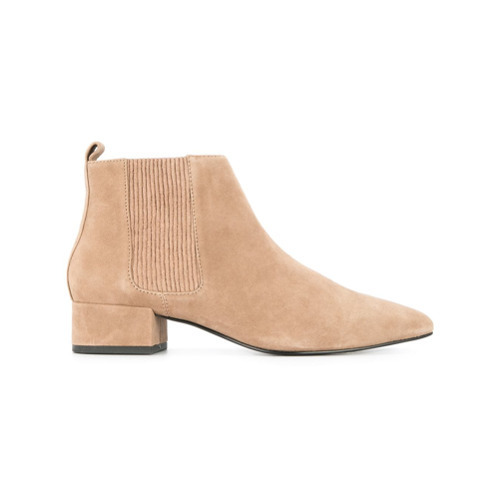 You could perhaps get a little creative in the footwear department and dress up your outfit with beige suede ankle boots. If you're scouting for a casual yet stylish look, reach for a charcoal open cardigan and charcoal flare jeans. Both pieces are totally comfy and will look fabulous together. You could perhaps get a little creative when it comes to footwear and dress up your look with Senso kylee ankle boots from farfetch.com. A grey coat and a white knit oversized sweater are absolute staples if you're piecing together a casual wardrobe that holds to the highest fashion standards. Throw in a pair of Senso kylee ankle boots to take things up a notch. 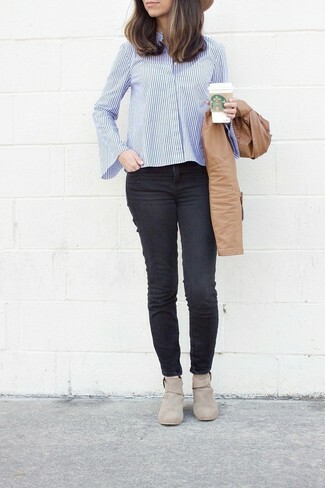 If you're after a casual yet totally chic look, dress in a light blue coat and white skinny jeans. Both pieces are totally comfy and will look fabulous paired together. When it comes to footwear, this getup is finished off nicely with Senso kylee ankle boots. Go for a grey denim jacket and a charcoal skater skirt to be both knockout and relaxed. 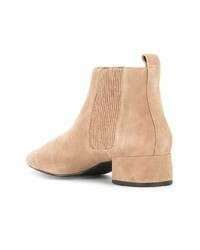 Rocking a pair of Senso kylee ankle boots from farfetch.com is a simple way to add some flair to your ensemble. 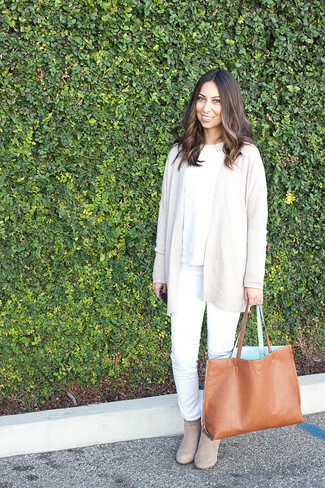 If it's comfort and ease that you're seeking in an outfit, opt for a beige open cardigan and white jeans. 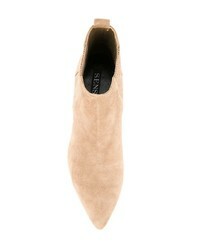 Up the cool of your ensemble by finishing off with Senso kylee ankle boots from farfetch.com. If you're in search of a casual yet absolutely chic ensemble, go for a black shearling jacket and charcoal jeans. Both pieces are totally comfy and will look fabulous together. Kick up the cool of your look by wearing beige suede ankle boots. If you're hunting for a casual yet absolutely chic getup, marry a tan leather bomber jacket with black skinny jeans. Both garments are totally comfy and will look fabulous together. 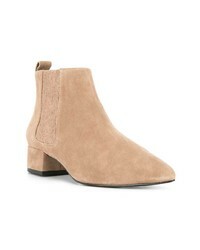 You could perhaps get a little creative in the footwear department and dress up your getup with Senso kylee ankle boots from farfetch.com. We're all outfiting for comfort when it comes to dressing up, and this combination of a blue cable sweater and black leather leggings is a great example of that. And if you want to instantly up the style ante of your look with one piece, enter Senso kylee ankle boots into the equation.